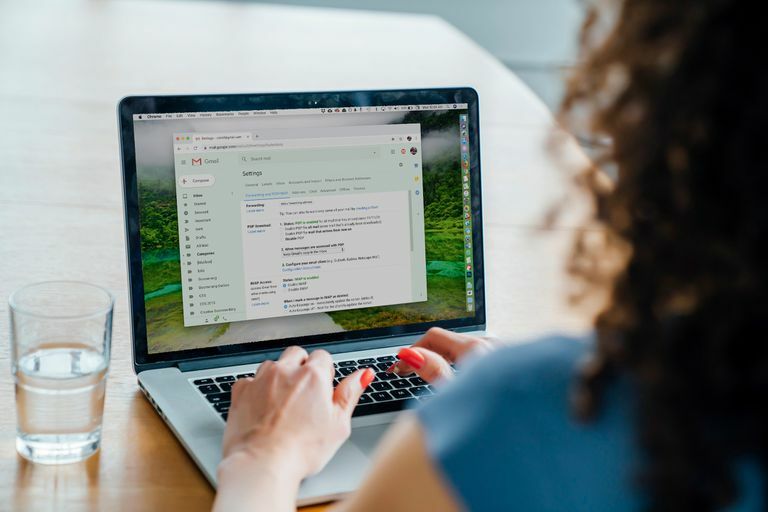 If you'd like to forward or copy your Gmail email to another address automatically, Gmail's filters allow you to do this wholesale or selectively. Here, you'll find directions to have Gmail act upon an email that fits the specific criteria you select. You do not have to select Forward a copy of incoming mail to for this to work; Disable forwarding can be selected under Forwarding: and your existing Gmail forwarding settings will not be changed. Enter the address to which you want Gmail to forward mail under Add a forwarding address. Now click OK under A confirmation code has been sent to verify permission. Open the Gmail Forwarding Confirmation email from Gmail Team that you received at the email address just added to Gmail forwarding. Open the confirmation link from the email. Close the Confirmation Success! Gmail window. Back in Gmail settings, go to the Filters tab. Select the gear icon and then Settings from the drop-down menu. Navigate to the Filters and Blocked Addresses tab. Click Create a new filter at the bottom. Enter the criteria for the email you'd like to forward in the box that pops up. For example, to forward all mail (as standard Gmail forwarding does), enter @ in the From field. To forward mail from a certain sender, enter that email address, name, domain, or any part of these next to From. Select Create filter. Choosing Which Emails to Filter Into Folders. Select the box to the left of Forward it to, select the address to which you want these messages delivered from the drop-down list, and select Create filter. Email matching the criteria you've set will now be forwarded to this address. If the desired isn't in the drop-down list, select add forwarding address and follow the next steps. Select Add a forwarding address and enter the address in the box that appears. Press Next. Confirm the forwarding address by selecting Proceed. Gmail will send a verification email to the address you've added. Enter the code it contains in the box next to Verify [email address] and select Verify. Repeat steps 1 through 5. In step 5, choose the address you've added from the drop-down menu next to Forward it to.